With the success popular 2D fighting franchises like Street Fighter and The King of Fighters have had on the iPhone, iPad, and iPod Touch, it was only a matter of time before Namco Bandai got in on the action with 3D fighter Soulcalibur, due out for iOS January 19. 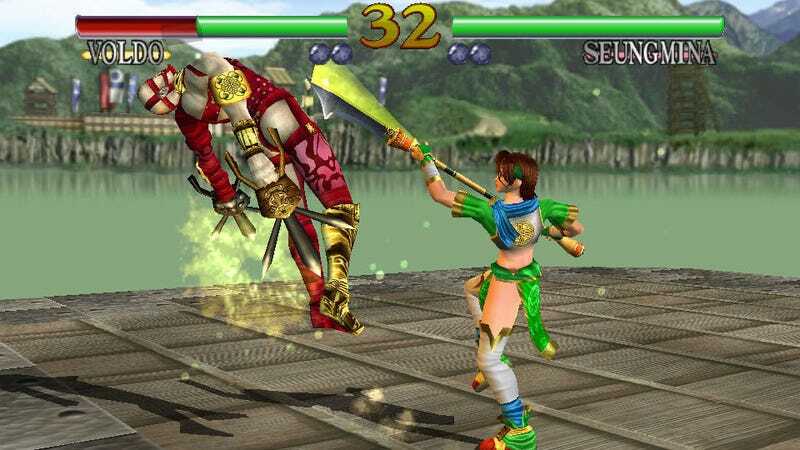 According to the post on Japanese gaming news site Andriasang, the iOS version of Soulcalibur is a port of the arcade / Dreamcast original, complete with all 19 fighters and a bevy of game mode, several of which are compatible with Game Center's leaderboard function. It looks rather nice, but the thought of playing Soulcalibur with touch screen controls makes my stomach go all queasy. The soul still burns; just not that way.